The Indica received a mid-life makeover last week. 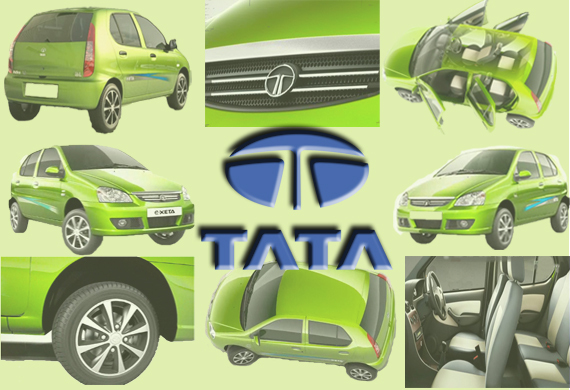 Tata launched a face-lifted avatar: Indica E-Xeta on July 11, with some minor tweaks to both the interior and the exterior. Here’s how the car stacks up after the changes. The E-Xeta is essentially a normal Indica that took steroids and got a new wardrobe. It does have some cosmetic changes here and there but overall appears to be a value for money proposition. The E-Xeta comes with two fuel options a petrol and an LPG. The Petrol e-Xeta has been blessed with a 1,193cc, MPFi engine that belts out 64 bhp of power and a 99.8 Nm of torque. It comes in four variants: the GL, GLE, GLS and the GLX. The base GL variant comes at Rs. 2.95 lakh and prices go up to Rs. 3.58 lakh for the top-end GLX variant. The LPG powered e-Xeta too sports the same engine as the e-Xeta but has an added LPG kit. The E-Xeta LPG is available in only two variants: the GLE that costs Rs. 3.43 lakh and the GLS which costs Rs. 3.56 lakh. On the outside the e-Xeta is more or less like a regular Indica barring rear and front fog lights, a new chrome grille, new alloy wheels and body colored side view mirrors. What will truly set the e-Xeta apart are the new colors being offered which include, Arctic Silver, Mint Green, Neo Orange and Apple Green. The e-Xeta may not be loaded but does offer some new features. It has a music system with two speakers and Bluetooth capability, a USB port and an Aux-in. It also comes with a central locking system with remote and power windows. The Indica e-Xeta competes with cars like the Ford Figo, Chevrolet Beat and the Maruti Suzuki Wagon-R. The competition may have more features to offer on certain variants but the e-Xeta still beats them all as far as price is concerned. The base variant of the Figo costs Rs. 3.59 lakh which is Rs. 64,000 more than the base e-Xeta. Similarly the base variants of the Wagon-R and the Beat too are pricier than the e-Xeta at Rs. 3.35 lakh and Rs. 3.5 lakh respectively. The e-Xeta hence will likely carve a niche for itself in the small car market based solely on its aggressive pricing and the presence of an LPG variant.